Trần Thiện Khiêm became Catholic at Easter He was one of the leading figures in the Vietnam war. During the Sixties he was involved in several coups d'état. He became prime minister in 1969 and remained in office until one month before the fall of Saigon. Trần Thiện Khiêm (pictured), is a former general and prime minister of the Republic of (South) Vietnam, received the baptism in California (United States). 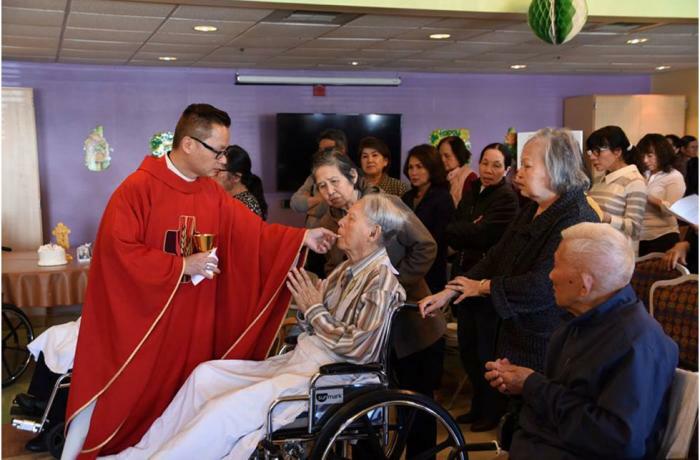 On 25 March, Palm Sunday, Fr Lê Trung Tướng, parish priest of St Elizabeth, Milpitas (San José) celebrated the baptism of the former Prime Minister. At the age of 93, General Trần Thiện Khiêm decided to join the Catholic Church, choosing Saint Paul as his patron saint. Born on 15 December 1925, he was a prominent figure during the war that devastated his country. Khiêm became Prime Minister of the Republic of Vietnam in 1969 and remained in office until March 1975. suggested for years that Khiêm was a devout Catholic who could not profess his religion in public but was willing to betray his co-religionists. The former prime minister told journalists that during the war he followed the traditional Vietnamese beliefs. He said that becoming a Catholic was one of the most profound and joyful experiences of his life, and that he himself had decided to join the Church after studying Catholicism for a long time. Edited from Asia News . Is the priest left handed?